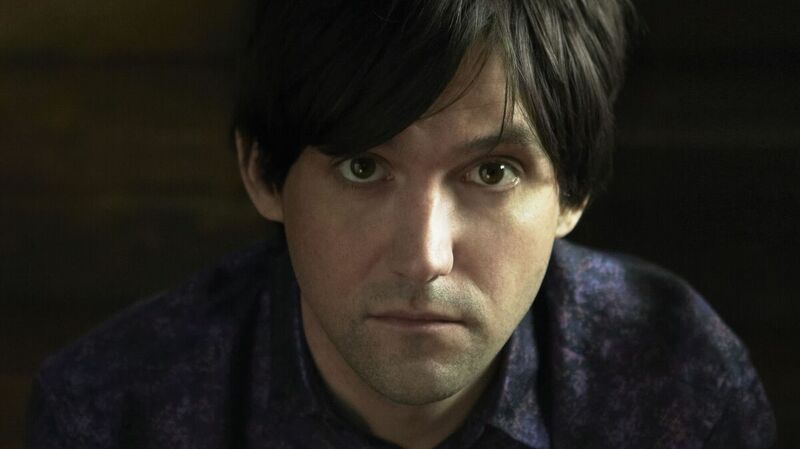 First Listen: Conor Oberst, 'Upside Down Mountain' Artful and beautifully realized, the Bright Eyes singer's new solo album knows when to shoot for sentimentality — when to sneak right inside the most cynical heart and melt the layers. Conor Oberst's new album, Upside Down Mountain, comes out May 20. You probably haven't been waiting around for some singer-songwriter to update Harry Chapin's inescapable 1974 hit "Cat's In the Cradle," the slightly cloying tune about the changing dynamic between parents and children over time. And if you did happen to be waiting for such a song, you probably wouldn't put Conor Oberst, noted sensitive indie-rock soul, in charge of writing it. Let's face it: Even if you're an obsessive Oberst fan — a follower of Bright Eyes, Desaparecidos and assorted other projects — this wouldn't likely rank high on the list of Songs You Wish Conor Oberst Would Write. Which is one surprise, among many, in "You Are Your Mother's Child," from Oberst's artful and beautifully realized Upside Down Mountain. Here we have a tired, heartstring-tugging trope from the 1970s resurrected as something lucid and disarmingly poignant. Something that can sneak right inside the most cynical heart and melt the layers. Singing in the wavering, edge-of-emotion tone that is his trademark, Oberst follows the stages of a young life ("Halloween costume, lookin' real cute") with the fond, measured regard of the cool parent. He knows how to be sentimental — some of the most gorgeous music on Upside Down Mountain comes from the perspective of love's stinging aftermath — but here he attempts restraint, slipping details into the verses the way a documentary filmmaker would. He's all sly and "aw-shucks" in the lyric writing, trusting that the subject matter, and the deft transitions from specific moments to general observations ("fear, that's a big emotion"), will bring the narrative home. It does. It's a small song, in the scheme of things, but it illustrates a large idea about Oberst as a songwriter: He knows how to work a conceit. Starting from what can seem like a slight kernel of an idea, he draws his listeners patiently into each of his narrative worlds, one curiosity-activating line at a time. The album's opening couplet, delivered over a single fervently strummed acoustic guitar chord, is typical: "Polished my shoes, I bought a brand new hat, moved to a town that time forgot / where I don't have to shave or be approachable / No, I can do just what I want." Fairly stock life-in-transition stuff, right? So what does this wandering soul want? The next line: "I want to walk in a howling wind 'til it scatters all my thoughts..." Just like that, we've gone from an ordinary country-rock rambler scene into something more multidimensional and novelistic. Who longs to be out in a howling wind? Upside Down Mountain suggests that Oberst is growing, rapidly, as a craftsman. It's the first truly intimate set of songs he's offered in a while — really since his 2008 eponymous gem, though contemplative moments seeped into 2009's Outer South, which he recorded with the Mystic Valley Band. Oberst visits some of the rowdy backbeats of those previous works, but even in the driving rock tracks (the Neil Young-ish "Zigzagging Toward the Light"), he's brokering interior thoughts, choosing clusters of words for the ways they thrive, or sometimes disappear, inside the sonic swirl. With help from several producers, including Jonathan Wilson, Oberst seeks out vivid and frequently counter-intuitive contrasts between the messages of the songs and the surrounding instrumental atmospheres. One example: On the surface, the riffing horns and striding beats of "Hundreds of Ways" radiate a kind of parade-day joviality. Get inside the song, though, and you realize Oberst is talking about what it means to contend with dark, possibly unwelcome memories when everyone else seems to be sashaying through life. The very next track, "Artifact #1," delves further into the muddy pools and quagmires of memory, examining what it means to hold onto the last glimmer of a great and vanished love. It's a stunning one-two punch, one of those rare album moments where two works grow more profound as a result of their proximity to each other. Oberst has been at this songwriting thing for a while. He's shown an uncommon knack for observation and, at times, a willingness to funnel those observations into sturdy if perfectly ordinary vessels — songs that teeter toward the generic. What's impressive about Upside Down Mountain is how effortless it feels. He doesn't work overtime trying to reinvent the wheel, doesn't get twisted up in the veteran songwriter's pursuit of a stunning new insight. Instead, he picks a road and follows where it leads, asking all the responsible questions, referring back to haunting asides and bitter refrains from other songs, and looking everywhere for clues about the restlessness that follows him like a stormcloud. He's not looking for a cure, mind you. Just clues.